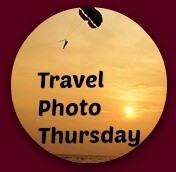 Welcome to another week of Travel Photo Thursday. Our third typhoon, in as many weeks, roared across the peninsula this week. We saw a lot of wind and rain here in Daejeon, but thankfully, not a whole lot of damage. The summer has definitely left us, and fall is in the air. The semester is keeping me busy, and I finally had time tonight to think about Travel Photo Thursday. I was browsing through my Flickr account, and came across some of my favorite Myanmar shots. I don’t think I’ve shared any (or many) of them here before. Taken from a hot air balloon just after sunrise. 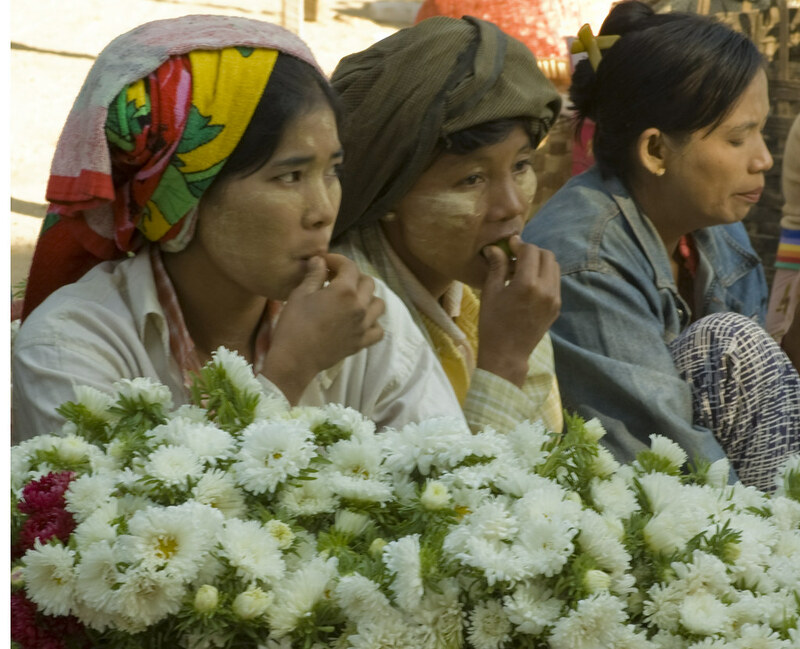 Ladies selling flowers at the outdoor market in Bagan. To protect their skin from the sun they coat their faces with Thanaka; a paste made from ground bark. Young monks at a temple just outside of Mandalay. 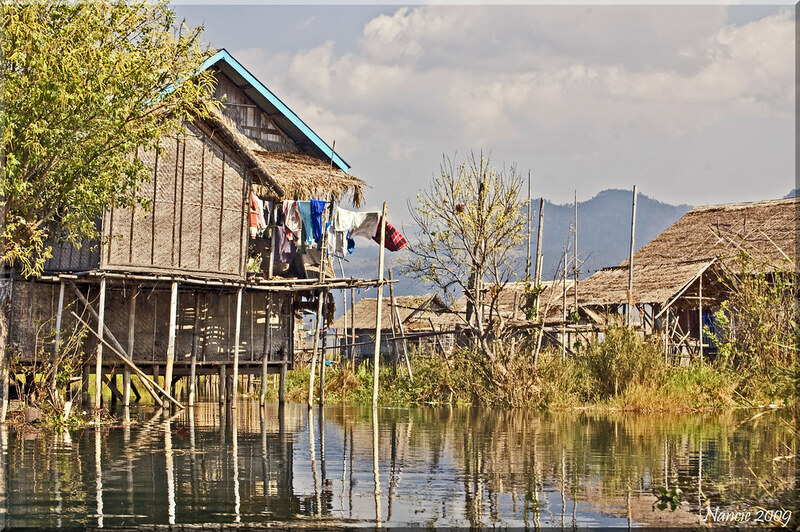 At home on Inle Lake. There are no roads. 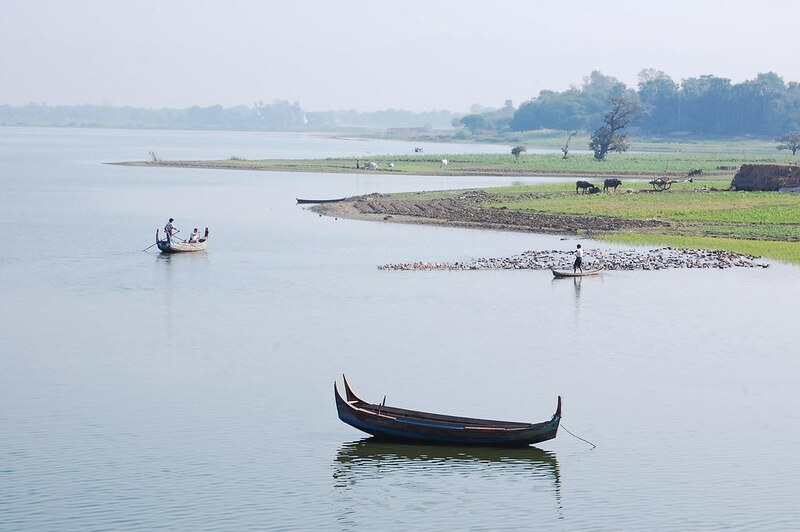 The locals get around by boat. Some communities are connected by footbridges. In the rainy season the water rises to the top of the stilts. 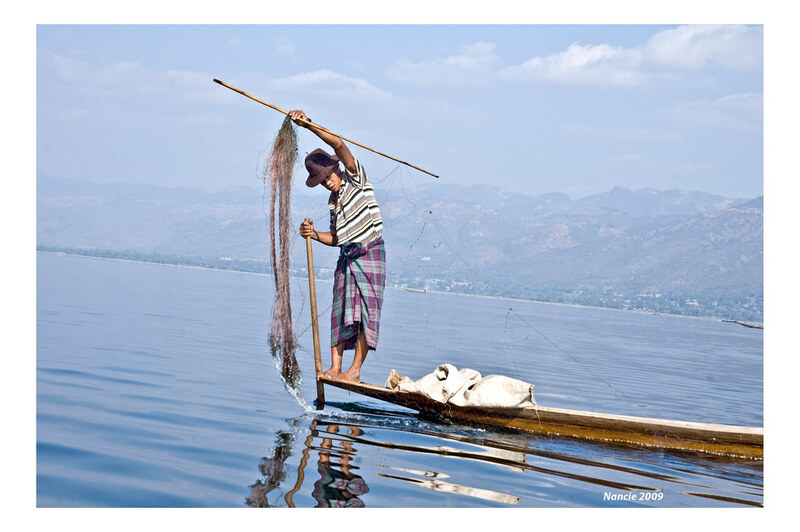 A fisherman working for his daily catch on Inle Lake. 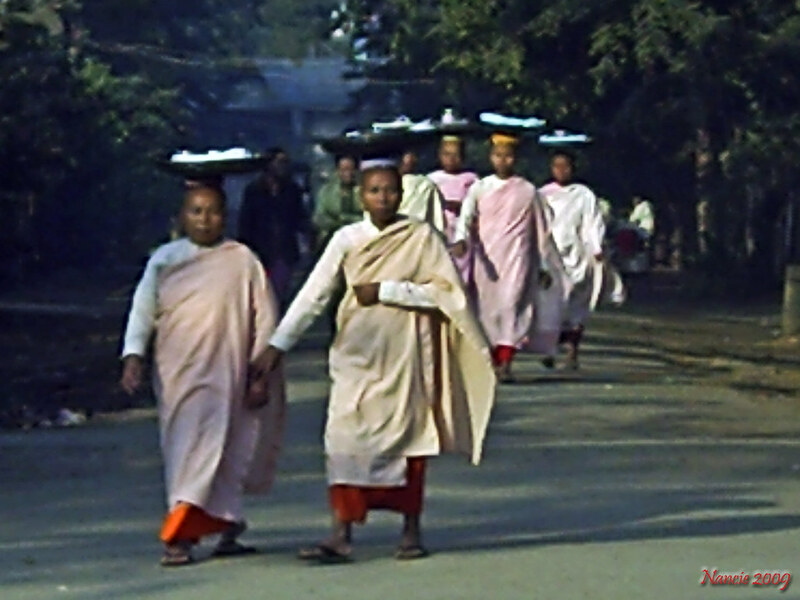 Female monks beginning their day. Hitching a ride; a common sight all over SEA. Reclining Buddha, Bago Myanmar. This was one of at least 3 VERY LARGE reclining Buddhas I found in this small town, a short bus ride from Yangon. You must apply for a Visa, which is good for 28 days. You must fly into Yangon. I used Air Asia. Distances are long between towns and regions. You can fly with a government owned airline or take the bus. Lots of good, cheap accommodation available. You can use U.S. Dollars. The exchange rate probably will not be in your favor. Make sure you have lots of cash. ATM machines are few and far between, and most businesses do not take credit cards. Most towns and cities lose power for a part of each day. Some hotels have generators, others do not. Bring a flashlight. The balloon ride was awesome. You can find out more at Balloons Over Bagan. This is also my contribution to Fridaydaydreamin, where you can find more great travel photos. I love your pictures of the temples from the hot air balloon. What a wonderful way to see these beautiful buildings from above. I don’t know that much about Myanmar but these pictures have kept me interested in looking up more of those temples. Hi Mary. Myanmar is full of beautiful temples. In some ways it was sad to think about how much money the government spends maintaining them, while the people are so poor. The shots from the hot air balloon are incredible. Well they all are stunning, but the vantage point you got from the air is stunning. Thank you! Thanks Keryn! I loved the hot air balloon ride. I would do it again in a minute. For taking photos, it could not be beat. All the photos are so beautiful, Nancie! The hot air balloon views are particularly stunning – I have always wanted to go on a balloon ride but I’m just a wee bit afraid so I haven’t got the nerve up just yet. Lisa, I was a little nervous as well. However, the pilots are very well trained and I felt perfectly safe with them. The scenery was just so magnificent that any fear went out of the balloon almost immediately! Stunning photos. I love the mix of people and locations you’ve presented. I almost booked flights this morning on Air Asia to Myanmar. I think I’m convinced now! Go Tracy! You will love Myanmar. Jenny, Myanmar is a huge country and a lot of it is rural. In fact, I thought that the people had much better living conditions outside of the bigger centers like Yangon and Mandalay. Also, a lot of the indigenous people still live in the mountains. BURMA! I just can’t wait, can’t wait to experience this fascinating land. 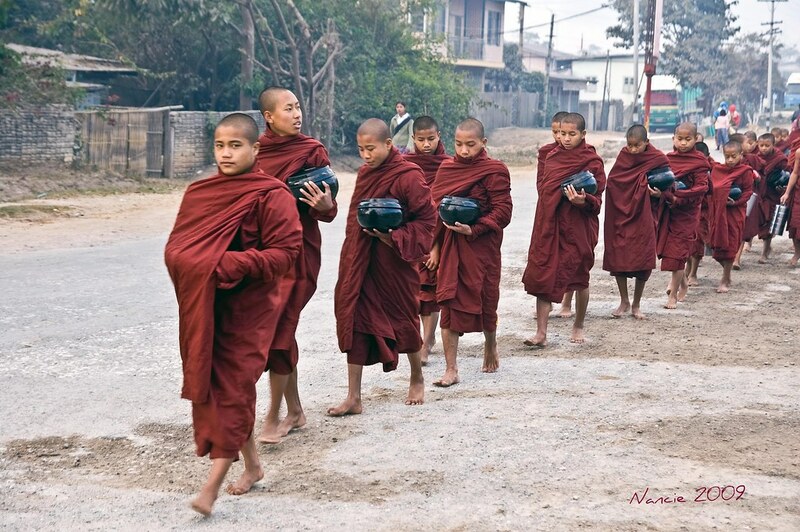 Loved your photos, particularly the one of the female monks — I didn’t know there were such?! Interesting! Maria, I think there are female monks in most Asian countries, but we don’t tend to see them very much. I’m not sure why. I was surprised at the large number that I saw in Burma. That balloon ride must have been amazing! All the pictures are fantastic, but I love the lines in the reclining Buddha the most! Jessica, I would go on another balloon ride in a minute. Thanks, the reclining Buddha photo is one of my favorites. I particularly like the human shots in this series, your flower ladies and young monks are gripping images, Nancie. Glad the nasty weather was in the form of heavy rain and wind, and not worse. Thanks Jackie. Yes, it’s nice to see the nasty weather gone. Looks like we will have a sunny weekend. Such beautiful and interesting photos, Nancie. 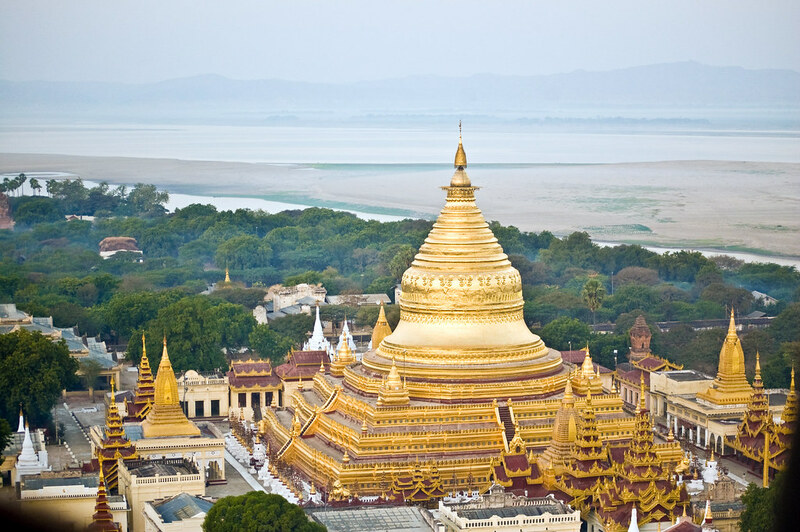 I’ve been fascinated by the images of the golden pagodas of Burma ever since I was a child. Oddly, I still haven’t made it there. You got one of the best times of day to take a balloon ride. Love the photos. They are amazing. Ancient Bagan photo is my favorite. These shots are even more amazing than usual. I’m glad you made it through the typhoons okay. Oh, and sorry that my TPThursday post is not very budget travel this week…..
Great place!Awesome photo’s and awesome location. really a very good article thank you for sharing this with us. I love the aerial photos, you had a perfect light and the colors look great! I think these are my favorite photos of yours yet. 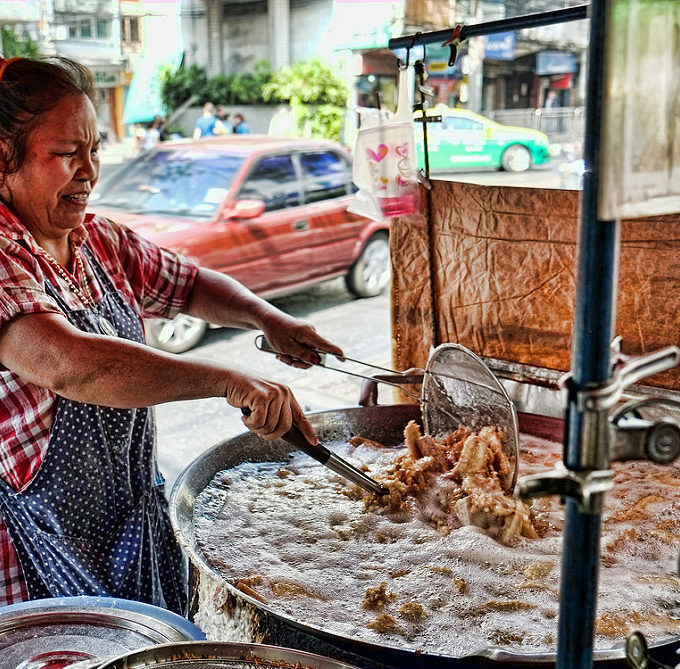 I love the images of people, going through their daily routines and the details that you provided with each picture. The hot air balloon ride provided you beautiful aerial views- what a great way to see the city. 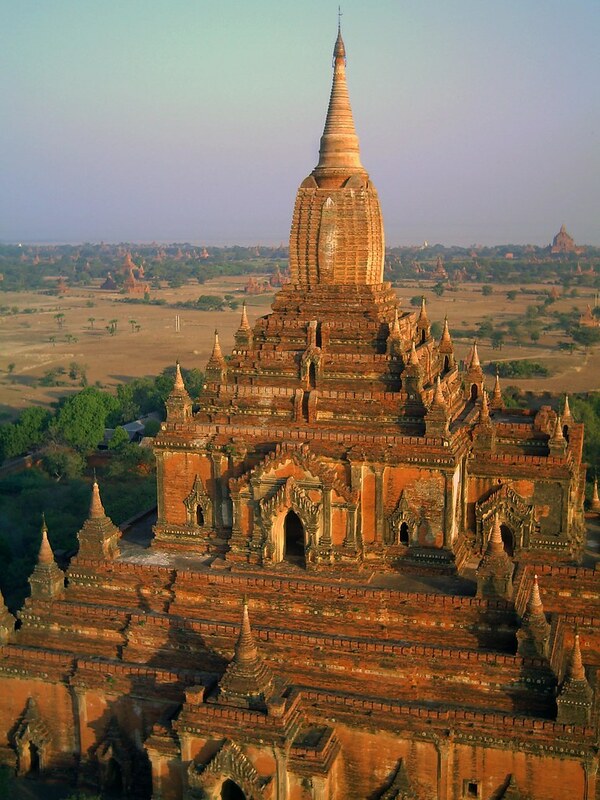 Is Bagan still amazing even if you don’t do the balloon ride? It seems that all the great pictures (yours included) of Bagan are taken from up in the sky, but I’m terribly frightened of heading up in a hot air balloon. 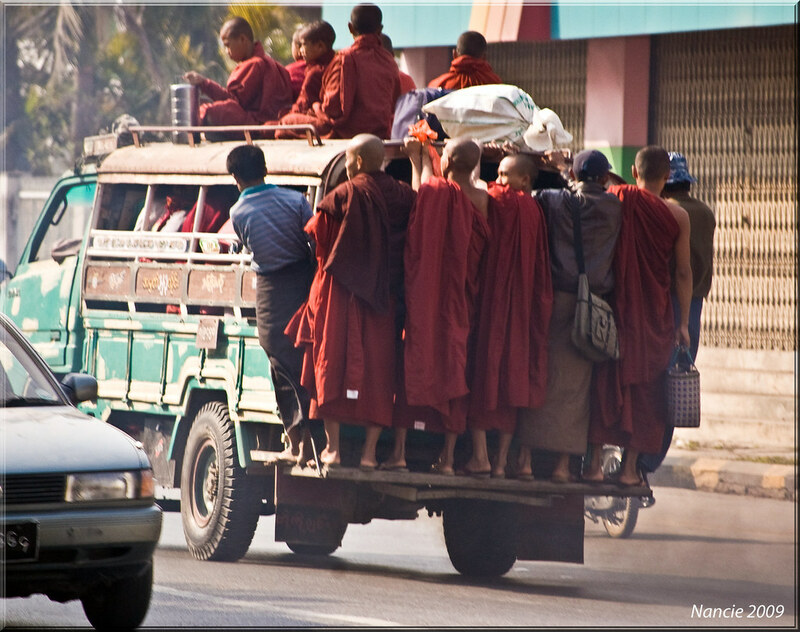 Myanmar is one of the places on my ever growing list of places to see in the next year. 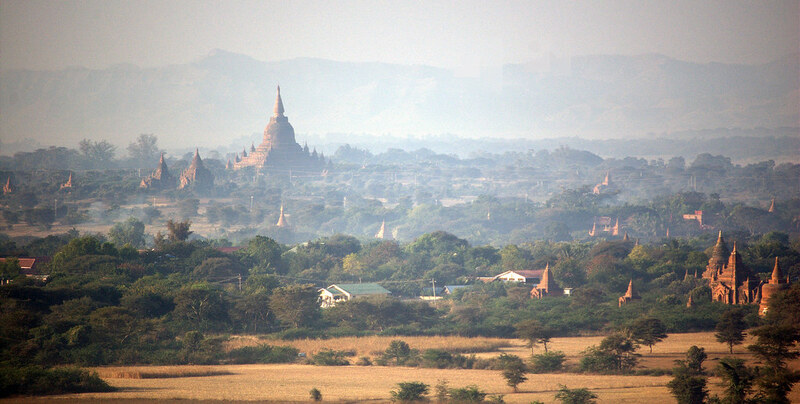 It’s a pure coincidence that I mention Myanmar in my Capture the Seasons post that I linked to. Didn’t know you’d be covering it. Your photos are lovely! We are thinking about a trip to Myanmar next fall – if you don’t mind, I’ll send you a note when I have a bit more time and ask a few more questions about your trip and arrangements. These are truly breathtaking. I kept thinking “Oh, that’s my favorite!” and then I would see the next one. There are at least four that made me gasp. Good job! Nancie – those are an incredible selection of shots. Bagan looks like an otherworldly place. 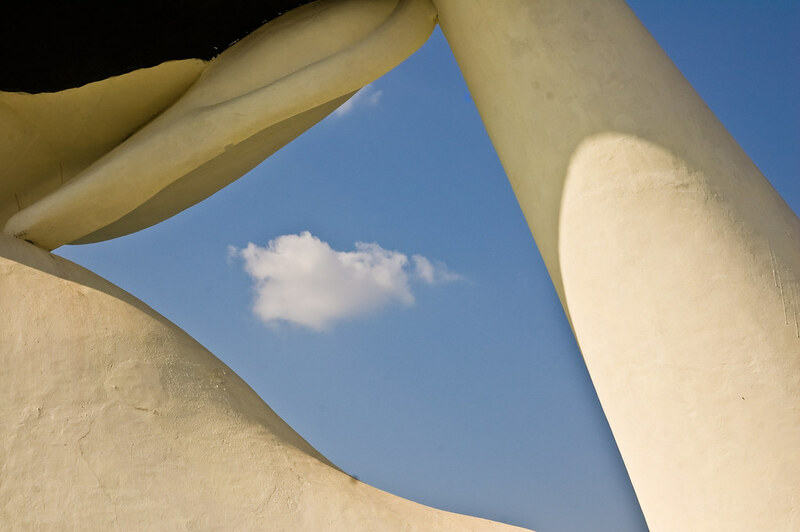 I’m with Vera – hard to pick a favourite and although I know it’s hot and humid there your photos still inspire me to go. 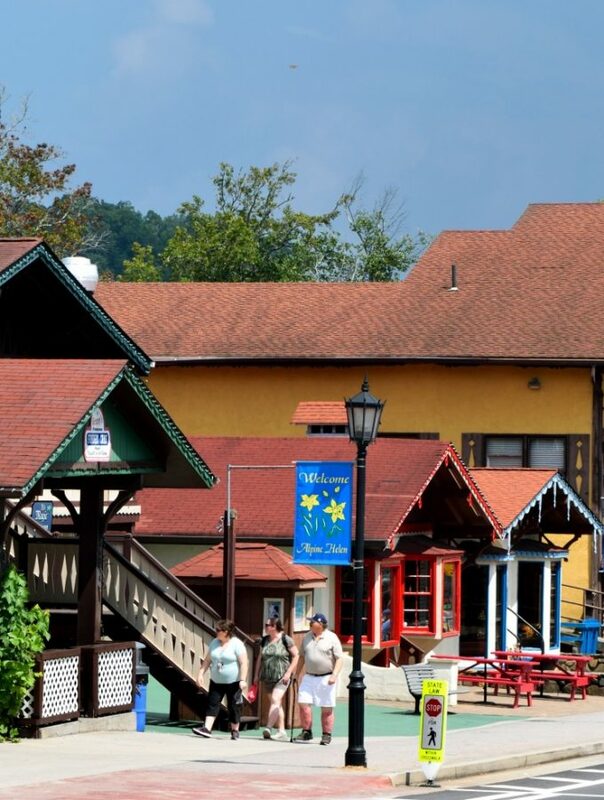 We also have fall in the air – though it’s still warming up nicely during the day. Great photos Nancie – all of them. I can’t believe how otherworldly Bagan looks. Your photos inspire me to visit. I’ve always had Lake Inle on my list of places to go. After seeing you photos, it’s just moved up several notches. While I enjoyed all of the pictures you includes, I think my favorite is of Ancient Bagan after sunrise. It is really stunning! I love getting to see all these unique places across the globe thanks to you. You take some gorgeous photos – the one of the house over the water doesn’t even look real. Happy to hear the typhoons are not leaving much damage – stay safe! Thanks, Andrew! I was a little nervous of the balloon ride too. However, once I was in the basket and up in the air all my fears left me. The pilots are well-trained and very safety conscious. I would go again in a minute. Those photos are amazing!! Glad to have discovered your photo features; look forward to seeing more in coming weeks. I did not get to Myanmar when I was in SE Asia. Definitely a must for next time. Beautiful photos!